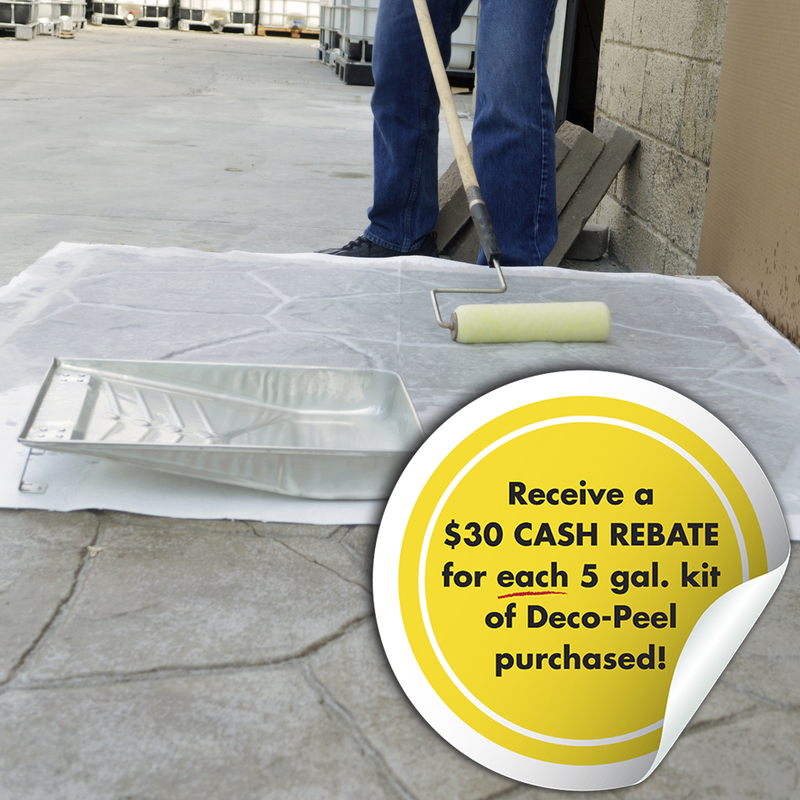 *For low VOC states, our consumer-compliant product, Deco-Peel CPC, is available. It's never been easier to remove old acrylic sealer. The Deco-Peel blanket system uses an engineered fabric saturated with a blend of powerful, environmentally friendly solvents that penetrate and soften decorative acrylic sealers below. The Deco-Peel solvents will dissolve the worn-out acrylic sealer which will evaporate from the surface. Because the sealer is all absorbed into the blanket, the blanket can be easily peeled up and thrown away after it has absorbed the acrylic resin. In short, this controlled application strips decorative surfaces of aged, chalky or faded sealers without the mess of a pressure washer, room for error in application, costly rental equipment or the creation of harmful waste. Lastly, reseal treated surfaces with a higher-quality, longer-lasting acrylic sealer in as little as 24 hours. To Remove Old Acrylic Sealer, Just Follow These Steps! Place the specially engineered blanket over the surfaces you want to strip. Saturate the blanket with Deco-Peel biodegradable stripper. Let it dry completely. Usually within 2-4 hours. Finally, peel off the blanket and throw it away - no mess to clean up! You can learn more about this simple process to remove old acrylic sealer here. When the old worn-out acrylic sealer is stripped from the concrete surface, it's ready to be shined up like new again. We recommend Natraseal or Sparkl-Seal acrylic sealer to bring out the best in your decorative concrete. *Compliant with Federal Consumer Products VOC regulations. Not for use in California, LADCO, OTC or portions of Utah.